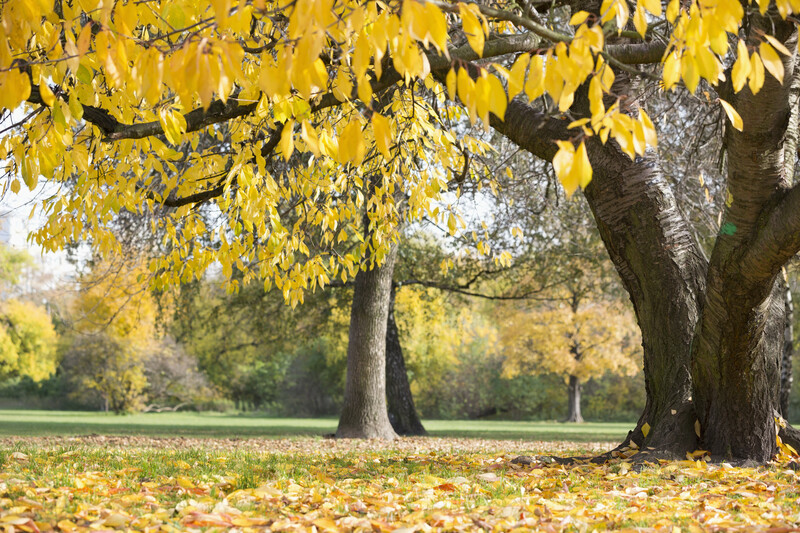 Another important tip is to make sure to keep the falling leaves cleaned up. Whether you have leaves on the ground or leaves collecting on your roof or gutters, do your best to clean them up and dispose of them. Leaves left sitting around detract from the look of your home and leave an impression in the buyers mind that the seller does not care to clean up there must be other problems as well. If you have any landscaping plants that did not survive the summer due to heat or drought then now is time to replace those plants with colorful and more vibrant plants. Look for cool season fall plants that bring out a pop of color to your home such as daisies, calendula, tulips, daffodils and more. Check out your local plant nursery to see what they suggest as being the perfect colorful plants and flowers to use for your area. One of the best and easiest curb appeal improvement tips to use is to refresh your mulch beds. Buy bulk mulch from your local hardware store and have it laid out over existing mulch beds to give a clean fresh look to that part of your landscaping. Make sure you take out any weeds growing in your mulch beds in order to keep the look clean and consistent. Part of the curb appeal of your house also includes exterior paint, garage doors, front doors, windows, roof and more. If the exterior of your home has not been painted in a while a fresh coat of paint should be applied to all exterior paintable surfaces. If repainting your front door adds some life and color to the door then include that with your painting work. If on the other hand the door is outdated, or in need of replacement then check out new door options at your local big box hardware store. Often times a new door with installation from these big box doors can add a nice new touch to your home that makes buyers take notice and does not cost that much in relation to the value it brings back to your house. While window replacement is not always needed depending on their condition at least having the windows cleaned and caulked can go a long way to freshening them up. If windows are broken or have broken seals then replacing them now before buyers come to view the home is a smart thing since a home inspector will call out window problems in their reports and fogged windows are very easy to spot during cooler weather fall days. By repairing or replacing windows now that is one less thing to worry about during the inspection repair period that could cause a buyer to walk away from their offer. If you want to decorate the outside of your home for the fall season then doing so should not hurt your curb appeal so long as you are sticking to neutral types of décor. Neutral décor means things like Thanksgiving décor as opposed to extreme Halloween décor that may offend some people. Things like headless monsters, flying ghosts, bloody crime scenes while may look like fun to some, for others there may not be as much appreciation and will cause them to stay away from such a home. With the idea being to get as many buyers into your home as possible going with neutral or no holiday decorations you are more likely to hit the mark in appealing to many different buyers. The interior of your home should shine just as much as the exterior does. After all you don’t want buyers to come in your home based on great curb appeal only to be let down with an interior that is lacking. Some basic interior things to tackle before selling your home include painting, carpet cleaning or replacement, refinishing wood floors, updating outdated fixtures/door hardware and more as needed. Preparing your home for sale does not have to involve major expense as well if you know what specifically needs to be done and how to do it. The better your home looks on the inside the easier it will be for buyers to fall in love with your home. Miss certain steps like deodorizing, painting, carpet cleaning then you run the risk of everything else you did being for nothing since buyers could not get past the one issue. Buyers are looking for move in ready homes and by doing your best to deliver a move in ready home you set yourself up for great success in selling your home in the fall. If you want to decorate based on the season follow the same tips for outdoor seasonal decor and keep it neutral décor rather than things that will offend buyers. Make sure to change up your season related décor as well so buyers don’t feel like you just did it once and don’t care anymore. Another important thing to do is to have the home pictures taken with no seasonal décor both outside and inside so that way pictures of your home on the Internet don’t look dated or out of place with pictures of holidays that have long passed. When switching over your HVAC system from summertime cooling to fall time heating it is a good idea to change filters and have your system tuned up if need be. A HVAC tune up involves checking over your system, testing the motors, fans and other components to make sure everything is operating at peak efficiency. If there are any issues with the HVAC they will be discovered during the tune up which allows you to take care of those issues ahead of time. Checking your garage door openers and garage door prior to listing your home for sale is also a smart idea since garage doors are an area that can come up on home inspection as being deficient. Noisy garage doors, garage doors with bad rollers or hinges, garage doors openers with excess pressure are all checked on home inspection. An easy way to have your garage door opener and garage doors checked is to call a garage door service company to come out and perform a tune up on your garage door systems. Not only will they lubricate and check all major components they will replace any worn components with new ones ensuring a smoother operation. It would be a shame after having gone through all that effort to prepare your house to sell in the fall that you end up leaving money on the table or end up not selling because of something out of your control. To prevent that from happening make sure you work with an expert Realtor who knows how to market homes and uses many different tools to help sell your home. social media expert. Instead look at their social media profiles and see how they are sharing information. If Realtors are just posting listing after listing without anything else chances are they don’t understand social media and may not be able to do much with marketing your home on social media. As with anything sales related the idea is to get the product, in this case your home, in front of as many buyers as possible. Social media gives people the opportunity to present their product to many people in a short amount of time. If a Realtor does not use those tools properly your home may end up sitting on the market for some time. 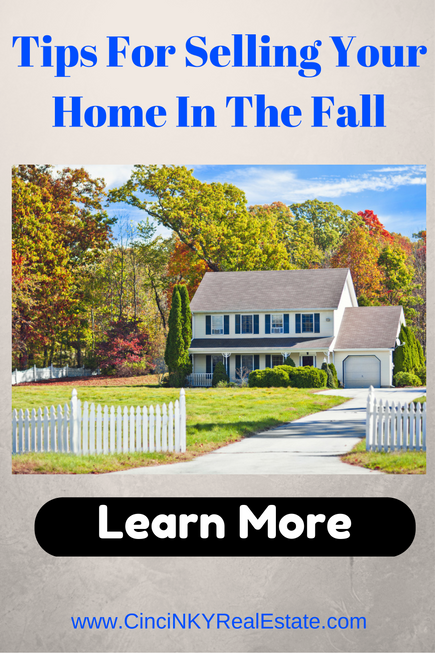 While the fall home selling season may be a bit slower than the spring season there are still many buyers looking for the perfect home for them. Proper preparation of your home both inside and outside sets your sale up for success as buyers are looking homes ready to move into. The closer your home is to move in ready condition the more buyers will appreciate it. About the author: The above article “Tips For Selling Your Home In The Fall” was provided by Paul Sian. 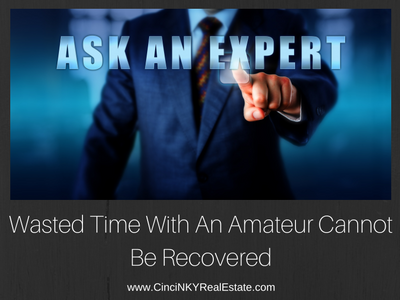 Paul can be reached at paul@CinciNKYRealEstate.com or by phone at 513-560-8002. If you’re thinking of selling or buying your investment or commercial business property I would love to share my marketing knowledge and expertise to help you. Contact me today!